Spring is in the air in the Northern Hemisphere and Autumn in the Southern side of the world. Nature's paint palette, combines rich, deep and bold colors with brilliant hues to entertain the eye. Just imagine the synergism as we blend the seasons to enrich our reading as well as our bookshelves. Dive into your trusty thesaurus to look for words that speak to you of either autumn and spring. Mix them together to discover a new read or revisit an old friend. A random pick of cozy earth on Amazon brings up P. Bodi's Mountain Earth's Kitchen Cozy Mystery Series. Hope orange resulted in Irene Hannon's Hope Harbor series as well as RaeAnne Thayne's Hope Crossing series. Blue leaf resulted in Lynn Truss's fabulous and fun book - Eats, Shoots and Leaves: A Zero Tolerance Approach to Punctuation. If you haven't read it yet, now is the time. Add another layer to include our theme of the month with mystery or nordic authors and see what comes up. Cozy mysteries are always fun to curl up with when you need something light. Spring brings to mind Debbie Macomber and her Blossom Street or Cedar Cove series. Check out Cozy Mysteries Unlimited for Spring themed and Fall themed reads. Try something completely new and delve into the symbolism or magic of the Equinox with Danu Forest's Magic Of ebooks. While you are having fun following rabbit trails, don't forget to check out Goodreads Best Books for Spring reading as well as PW's Most Anticipated Books of Spring 2017. I haven't been able to read a book each week, but am participating this year as I'm able. Thank you for continuing to host this link-up. Because of the links that have been shared each week, I've been introduced and have read many interesting books. I have a goal of 52 books this year and right now I am on book number 14. I am about 3 books ahead of schedule. 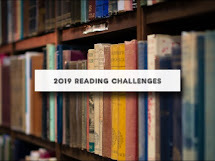 Also, I am new to this I don't have a blog, but I have a Facebook group for my reading challenge.